Label-enhanced SPR greatly improves the sensitivity and specificity of SPR, and can be used directly on standard SPR instruments without any hardware modification. 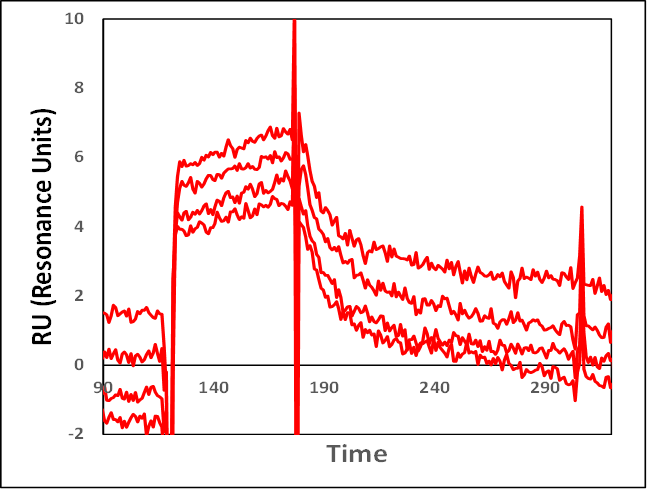 Label-enhanced SPR is based on labelling of one interactant with specialized dye labels combined with software-based curve shape analysis of the entire SPR dip curve. 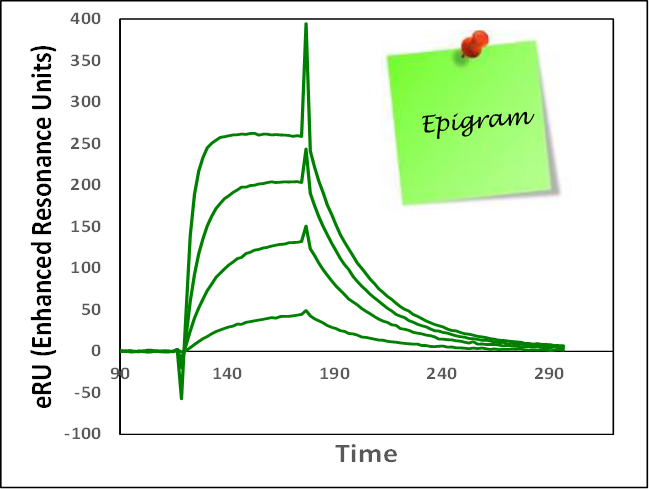 In this way, an extremely sensitive and fully specific measure of the binding of dye-labelled compound is obtained and plotted as an enhanced sensorgram or ‘epigram’. It is important to emphasize that the technology can be used on standard SPR instruments (e.g. Biacore), and that label-free affinity and kinetics data can be obtained by selecting an appropriate assay format (e.g. competition or inhibition).